Many people took to the social media to express anger and called to unsubscribe all SonyTV channels and uninstall the channel apps from their devices. 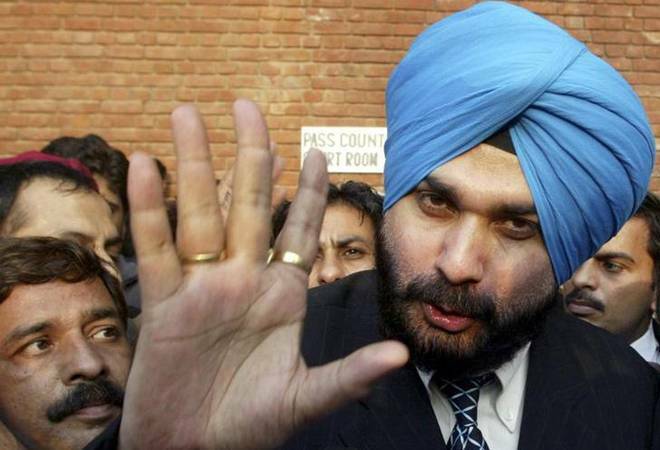 Navjot Singh Sidhu's comments in the wake of Pulwama terror attack had not been taken kindly by most. While the entire nation was grieving the loss of over 40 CRPF jawans martyred in the Pulwama terror attack on February 14, former cricketer and Congress leader Navjot Singh Sidhu's comments has caused furor in India. Following calls for his removal from comedian Kapil Sharma's show on SonyTV, the channel had reportedly assured to remove and replace Sidhu. However, the Kapil Sharma episode aired on Saturday showed Navjot Singh Sidhu, attracting a strong criticism from several social media users, many of whom called to boycott the channel as a mark of protest. Meanwhile, the channel has not released any official confirmation regarding Sidhu's removal from the Kapil Sharma show. However, this is not the first incident in which Sony TV has taken a stand. Previously, when Anu Malik's name was raised in the MeToo movement, he was sacked from his role of a judge from the tenth season of Indian Idol. Navjot Singh Sidhu is likely to be replaced by Archana Puran Singh. Following the car bomb attack on a CRPF convoy in Pulwama, Kashmir, which claimed the lives of 44 jawans, Sidhu said: "For a handful of people, can you blame the entire nation and can you blame an individual? It (the attack) is a cowardly act and I condemn it firmly. Violence is always condemnable and those who did it must be punished." With Pakistan-based Jaish-e-Mohammed claiming responsibility for the attack, the statement rubbed many the wrong ways. Political leaders of the country have already thrashed Pakistan for its continued support to terror outfits and are planning diplomatic action against the neighbouring nation.